^ Milford 1970, p. 69; Cline 2003, p. 81; Bruccoli 2002, p. 131; Bryer, Jackson R. "A Brief Biography". In Curnutt 2004, p. 31. ^ Cline 2003, p. 109; Bryer in Curnutt 2004, p. 32. ^ Milford 1970, pp. 220–25; Bryer in Curnutt 2004, p. 39. ^ Milford 1970, p. 329; Bryer in Curnutt 2004, p. 43. ^ Newton, Wesley Phillips. 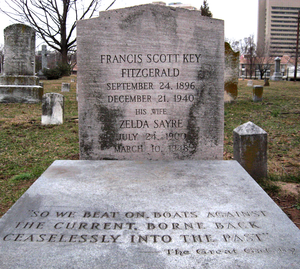 "F. Scott and Zelda Fitzgerald Museum". 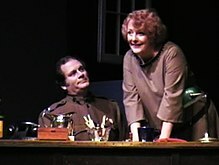 Alabama Heritage (Spring 2005). Retrieved on April 19, 2008. ^ Mowatt, Todd. "In the Game: Nintendo's Shigeru Miyamoto". Amazon.com interview. Retrieved on April 18, 2008. 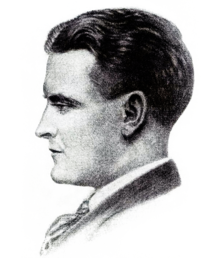 ^ Bryer, Jackson R. "The critical reputation of F. Scott Fitzgerald". In Prigozy 2002, pp. 227–233.